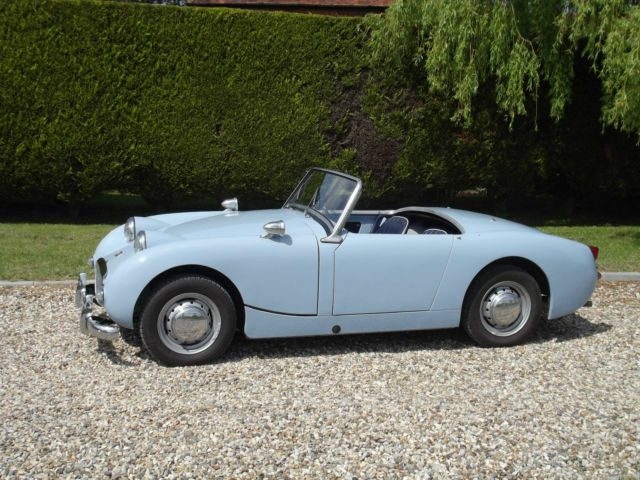 Overview Vehicle Details About Us Showroom Vehicle Print Out £18,995.00 Austin OTHER Austin Healey Frogeye Sprite Loading ... 0:00 / 0:00 eBay Motors Pro Scroll over the thumbnails to enlarge Video Model Year: 1958 Mileage: 9,066 Miles Transmission: Manual Engine Size (in ccm): 948 Fuel: Petrol Interested? 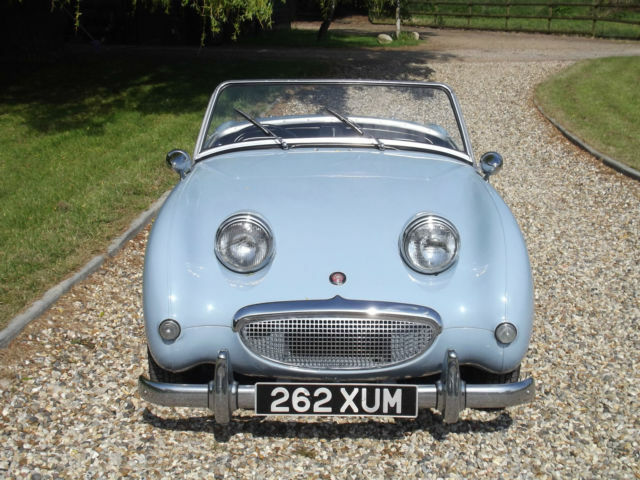 Find out where we are This delightful Frogeye Sprite was originally exported to the USA and repatriated to the UK in 2000. 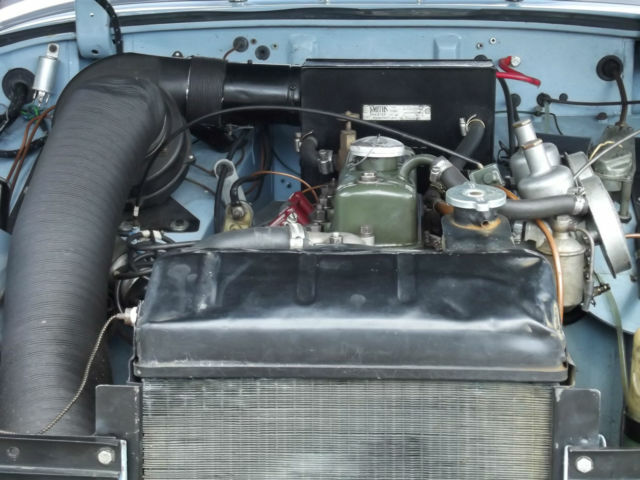 As a rust free California and latterly, Arizona car it was an excellent basis for the subsequent bare shell restoration during which it was converted to RHD. 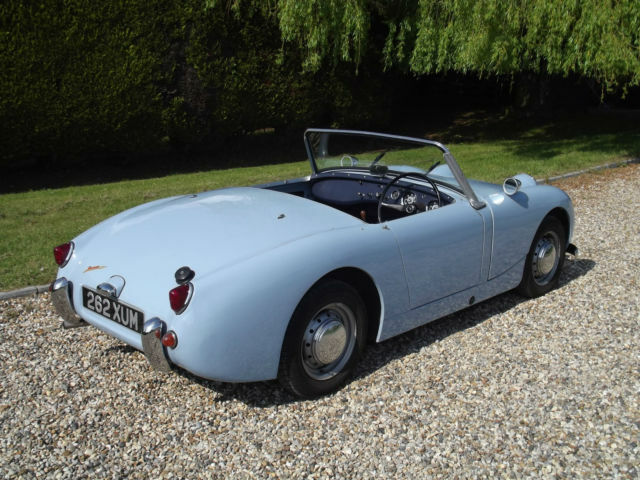 Finished in the desirable colour combination of Iris Blue with contrasting dark blue interior and weather equipment the Sprite has covered only 500 dry miles since restoration. 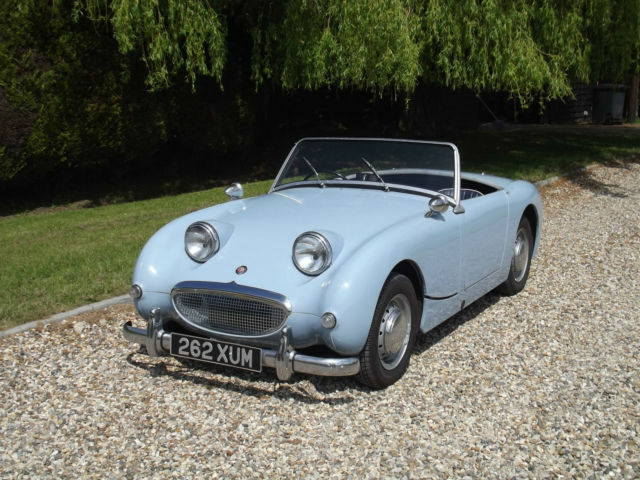 The Frogeye is mechanically standard with 948cc ‘A’ Series engine and drum brakes. 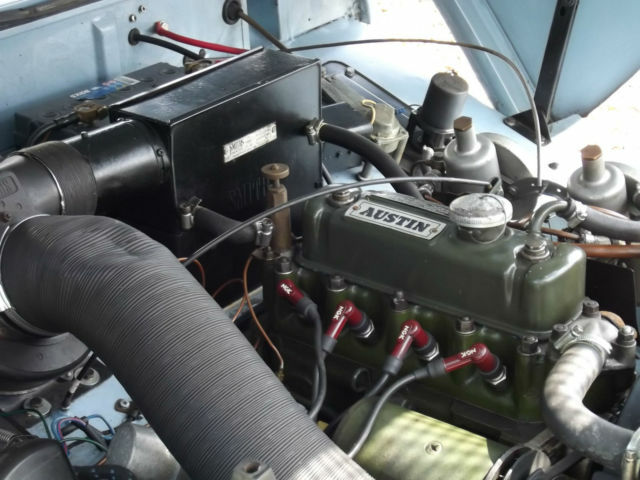 It does however, benefit from the fitment of the later ribbed case gearbox which offers better ratios. The original gearbox comes as a spare with the car. 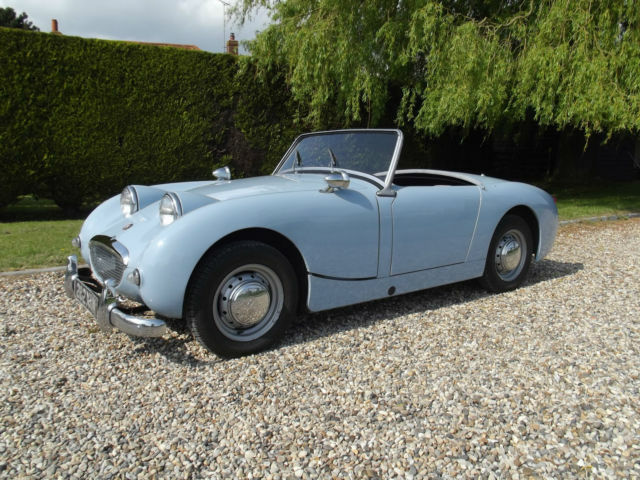 The hood, tonneau cover, sidescreens, carpets and seats are all new and the car comes with a Heritage Certificate showing its date of manufacture as December 1958. 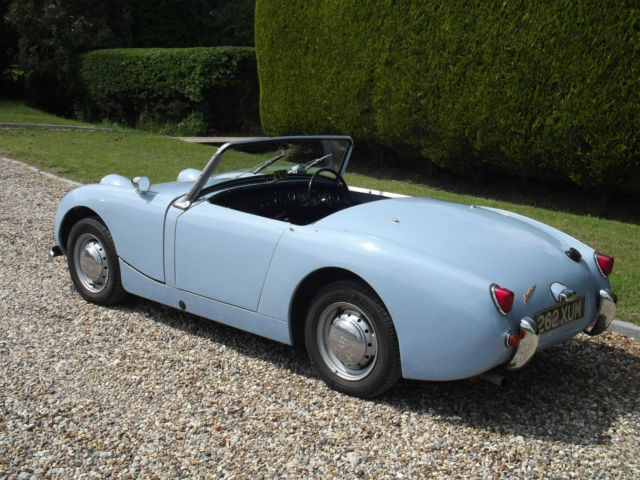 These little cars are surprisingly roomy inside the cockpit and are huge fun to drive. Enjoy it this summer. I am happy to take anything interesting in part exchange. Find out where we are About Us St Andrews have been successfully dealing in high quality vehicles since 1989. 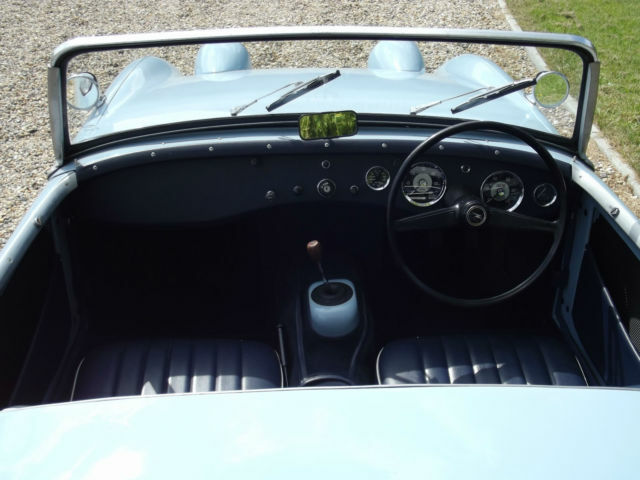 It is run by a genuine car enthusiast who considers the job a hobby. 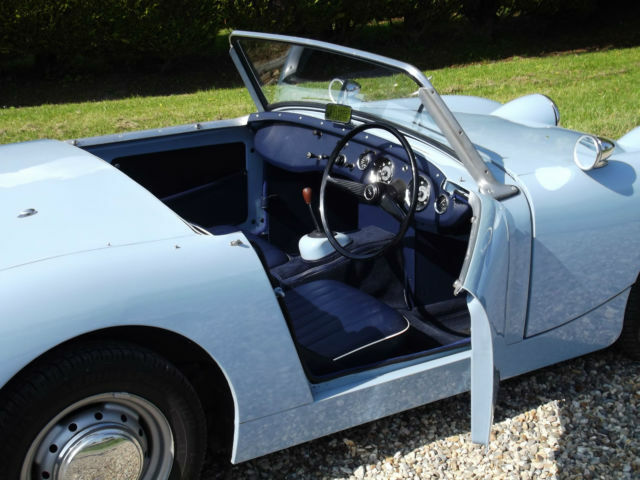 We have traditionally specialised in providing new and late used Prestige and 4x4 vehicles at competitive prices, and now deal in Classic & Unusual vehicles. We are licensed credit brokers offering a host of finance options & all dealer facilities including Part Exchange. We are always happy to provide qualified advise to all our customers in all matters motoring related . www.standrewsautos.co.uk E Mail sales@standrewsautos.co.uk Warranty Most of our cars have manufacturers warranties. We are able to provide extensions to these if required. 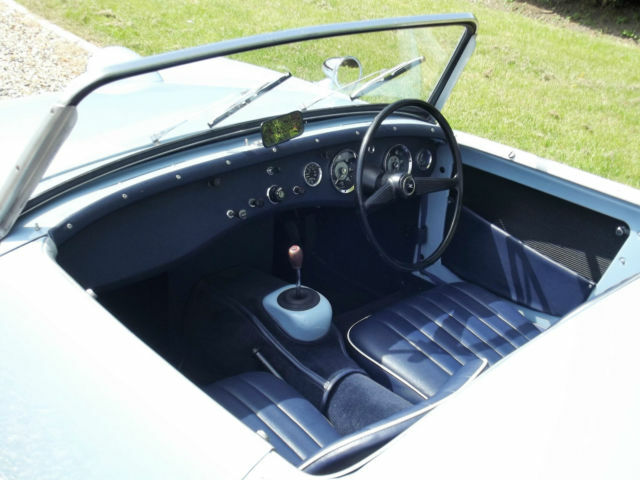 Classic cars, or any vehicle over the age of 5 years,are sold without warranty,unless otherwise stated. Why buy from us? 5 Days Free Drive Away Insurance + Finance & Leasing Available. All Major Credit Cards Accepted We pride ourselves with our honesty and Integrity,offering unbiased advice. Most of our customers are repeat business or recommendation Our low overheads enable us to provide value, unrivalled by main dealers We also buy similar vehicles from late model prestige cars to older classics & collectable vehicles Terms & Conditions We are very approachable and always open to reasonable offers on our cars..
We are always happy to answer any sensible questions regarding our vehicles. 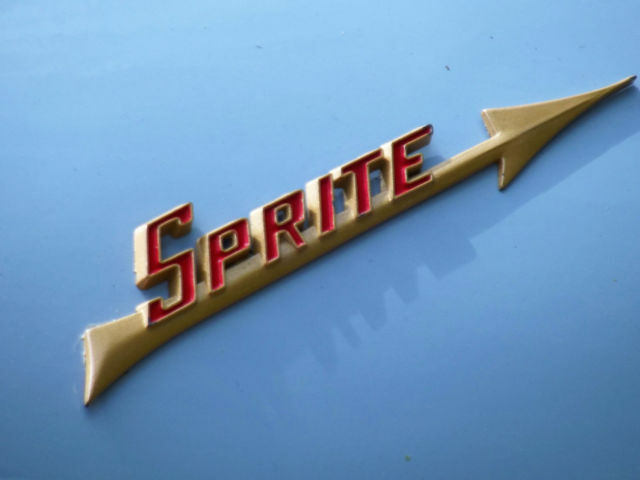 I'm always looking to purchase interesting Classic Cars including American vehicles and Hot Rods,from basket cases to Concours.